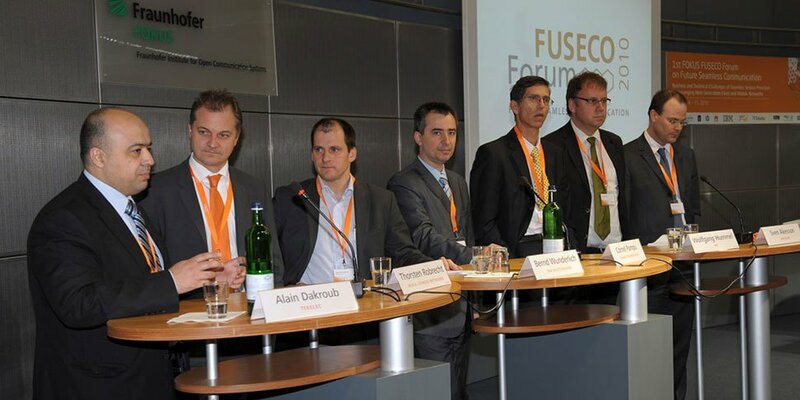 The 1st international FOKUS FUSECO Forum (FFF) on “Business and Technical Challenges of Seamless Service Provision in Converging Next Generation Fixed and Mobile Networks” has been held in Berlin, Germany on October 14-15, 2010 and was attended by around 150 experts from industry and academia. The FFF represents a technologically focused follow-up to the famous FOKUS IMS Workshop series, as the future role of IMS (IP Multimedia Subsystem) in mobile and fixed NGNs deserves some critical considerations in regard to slow industry adoption and rapidly emerging new control protocols and platforms from the Internet domain. There is no doubt that IMS has consolidated the various views on SIP (Session Initiation Protocol) and Diameter-based Next Generation Networks (NGN)s, and many standards have been established for Voice over IP (VoIP), Rich Communications Services (RCS) and IPTV. But there is lot of pressure from emerging Over-The-Top (OTT) applications originating from the Internet, challenging IMS business case calculations and extensive deployments beyond NGN VoIP. In addition IMS is limited to SIP-based control and thus HTTP (Hypertext Transport Protocol) and other protocol-based applications, forming the majority of current fixed and mobile broadband traffic are out of control. Here the 3GPP EPC (Evolved Packet Core) has the potential to emerge as a common control platform for any IP application. From the technical maturity and global recognition points of view, EPC stands today where IMS stood five years ago and thus it is time to launch a new workshop series to create global awareness in academia and industry about this promising technology. Thus the FFF discussed 2 days the relationship between EPC, IMS, and OTT approaches. The first day started with a technical tutorial about Long Term Evolution (LTE) and EPC standards and introduced the Fraunhofer HHI LTE-Advanced Testbed and the Fraunhofer FOKUS OpenEPC toolkit, which have been integrated into the Future Seamless Communication (FUSECO) Playground, the globally first open testbed uniting Wireless LANs, 3G networks, LTE, and EPC technologies for early prototyping of new seamless applications. Practical demonstrations including seamless handovers of Skype and video services with Quality of Service assurance from the FUSECO Playground and a OpenEPC Release 2 preview have also been provided to the audience. The second day featured a conference with presentations from various international network operators and service providers. A vendor panel session and an associated exhibition presented the state of the art and upcoming products in this field. In the following some more details are provided for both days. The tutorial “Understanding the Next Generation of Mobile Broadband Communications: LTE and EPC Concepts, Architectures, Protocols and Applications” on the first day was performed by Dr. Thomas Haustein, Fraunhofer HHI, and Prof. Dr. Thomas Magedanz, Fraunhofer FOKUS and TU Berlin. It started with pointing to the continuously increasing mobile data traffic demand and motivated the need for LTE, EPC and IMS technologies in order allow a smooth evolution from existing circuit switched and packet switched mobile networks to a Next Generation Mobile Network. A session about LTE presented details about the radio part, covering standards, architectures and gave an outlook to LTE-Advanced. The correlated network part was covered in the following session by introducing EPC terminology, key concepts, and architecture, as well as the related 3GPP standards. Subsequently, potential applications and related platforms have been discussed, including operator IMS platforms for Voice over LTE (VoLTE), as well as Over-The-Top Internet service platforms. An outlook onto global Future Internet research and related application areas has concluded this tutorial section. The tutorial ended with a presentation of the experiences from the Berlin LTE-Advanced testbed, the OpenEPC testbed toolkit, and the FUSECO Playground. Demonstrations during the breaks showed current proof of concept realizations, including seamless handovers between LTE-A and WLAN, service composition and transparent mobility. The demonstrations covered essential challenges in the scope of LTE and EPC and illustrated practical solutions-based on these emerging technologies. 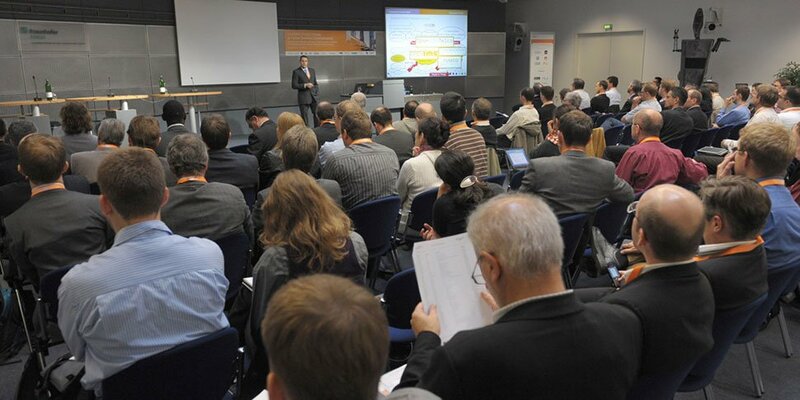 The conference on day 2 started with a session on “Competing Mobile Broadband Access Network Technologies” chaired by Thomas Haustein, Fraunhofer HHI, and addressed challenges emerging with the introduction of LTE and EPC. The second session “Access Network Integration and Service Enabling” chaired by Hans Schotten, University of Kaiserslautern, addressed technical problems during the deployment of EPC into existing network infrastructures in particular IMS roaming and different QoS signaling as well as the complex IMS & EPC interoperability, which might take until 2014/2015. A vendor panel “Standards, Products, and Business Cases for Future Seamless Communication” chaired by Thomas Magedanz, TU Berlin, discussed the LTE business case, Voice over LTE, the importance of open APIs for VoLTE and RCS, etc. The fourth session on “FUSECO Telco Applications: Voice, RCS and More” chaired by Hans Joachim Einsiedler, Deutsche Telekom Laboratories, addressed mobile broadband services and M2M opportunities, application challenges regarding fast deployment of Web services and slow agreement on interoperability. The overall tenor forecasts no LTE/mobile broadband killer application. 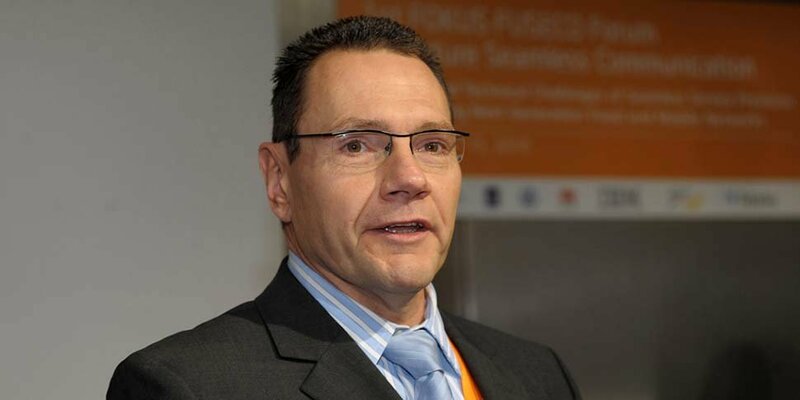 The last session “FUSECO OTT Applications: Beyond Smart Bit Pipes” chaired by Thomas Michael Bohnert, SAP Research, presented opportunities for wholesale and enterprise operators, Over-The-Top (OTT) services and the usability LTE for vehicles. VoIP in mobile networks is growing in acceptance, increasingly challenging the operators around the globe. As Facebook has now announced interworking with Skype, the question of using Facebook as main interface for launching new applications in the future, has been raised. Alongside the workshops and the conference, vendor exhibitions have shown 4G Subscriber Data Management / Communications as a Service, Enhancements of Mobility Management for the 3GPP EPS - Smart Mobile Devices in a dense wireless network environment, IBM Software Strategy for CSPs – Start planning and implementing smarter communications systems, Smart networks for user centric broadband. In addition, the newest tool kits from Fraunhofer FOKUS, namely the universal client framework myMONSTER TCS (www.opensoaplayground.org/tcs) and the newest release of the OpenEPC toolkit (www.openepc.net), were presented. This new forum will be continued next year in November 2011 (www.fuseco-forum.org/2011) to establish a regular meeting point for international researchers from academia and industry.